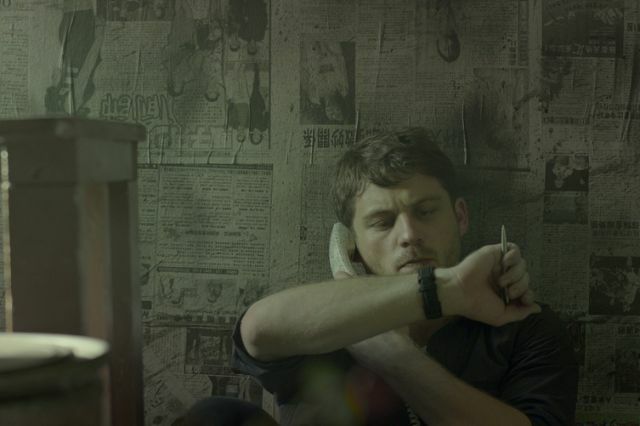 Observance is a low key Australian psychological thriller that mixes together intrigue, thrills and even horror into a melting pot of paranoia. As with all films lately I again went into this with absolutely no idea what it was going to be about. With a great set up I was determined this was the type of film I would enjoy, all the ingredients were there, I just hoped it would be cooked up right. The set up of a man spying on a woman is an interesting one, Observance builds on this by creating an atmosphere of suspicion. Parker spends a lot of the film trying to discover just why the client who hired him wants the lady tracked, and it was that mystery that kept me going. Answers are not obvious and the viewer is slowly drip fed clues as to what is really going on. This was the main draw for me but I guess it could be seen as a spoiler that it is never implicitly revealed why anything is occurring. I hoped the finale would at least explain some of the bizarre goings on, but no, Observance is unfortunately obtuse to it's own detriment. I don't mind when things are left up to the viewer to make sense of rather than spelled out, but with so few clues I did feel kind of frustrated when the end credits rolled. With much of the eighty five minute run time just focused on the one character it is a relief that Ferris manages to sustain attention. He is mostly alone you never really get a good look at what type of person he is. He obviously loves his estranged wife, his interactions with his brother in law show that he is liked, yet he is doing such a shady job. 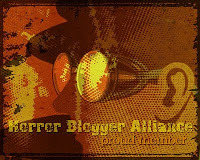 Mostly the film voyeuristically observes Parker as he spies on the neighbour, a good sense of isolation is built up, this silence is what creates such a feeling of ambient dread that at times brought to mind the feel of a H.P Lovecraft story set in modern day. For every sudden sound of something in a different room falling over my heart near skipped a beat, aside from the recordings of the woman and her house Parker lives in a dead world helped in no small part by the wonderful set design. About nine tenths of Observance takes place in the small apartment Parker makes his home. The windows are all coated in sheets of newspaper, as are the walls, while some sort of dried black liquid covers a lot of places. The rooms are small, the corridors confining, while the front door is as stiff as anything, once you are in it is hard to get out, this helps with the feeling of doom and despair as the building is its own nightmare world. The way the movie plays out is quite art house in its style. We get sudden extreme close ups of dripping blood, frayed carpet, jars of liquid, all chopped together and mixed in with low key ambient drones and murmurs. This brought to mind David Cronenberg's style of horror, though less well done. Frequently Parker's dreams take him back to some rocky cliffs by the sea, the most art house part being set here where he is shown fishing with his friend who is an actual corpse laying on the ground. One of the most thrilling parts comes when Parker sneaks into his marks house to plant some listening devices, there are also smatterings of horror. At various points we see the apparent ghost of a murdered woman, it is never made clear if her presence is just in the main characters head or not but leads to a few good moments. We get the weird black goo, at one point Parker vomits this tar like substance out, no idea what it's purpose was but it did bring to mind parts of the survival horror video game Condemned 2. In general the style reminded me quite a bit of the Silent Hill universe, like a weird twisted version of reality that the inhabitants are not aware is any different. At times the movie goes a little too weird and out there, I just could not understand why anything happened in the finale, I could not understand the significance of certain parts, like the often referred to bloody mounted dogs head. The mystery of Observance is what kept me going, this sustains a true sense of unsettlement with some great use of editing and sound design. While I was disappointed it all ended with none of my questions answered I still found the ride a worthwhile one, this felt different to the norm. It may be a bit too art house in style for some, there may not be enough going on for others but for me it still felt like an experience, if an ultimately frustrating one. 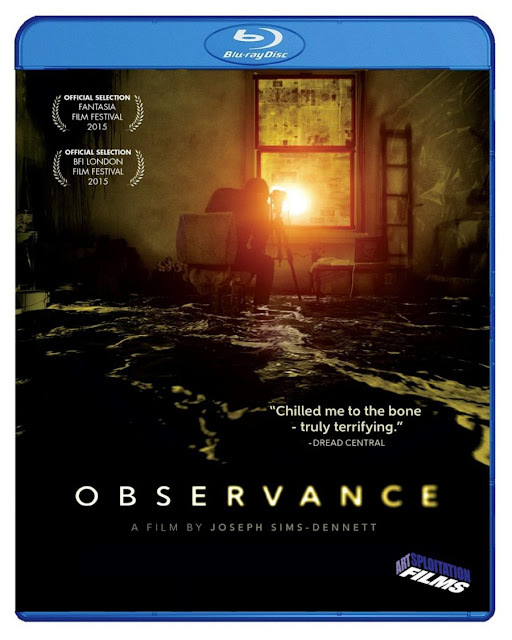 Thanks to Artsploitation Films Observance is out on DVD and Blu-ray (as well as exclusive streaming on Vimeo) on 2nd August 2016, it comes to most major VOD outlets on October 11th.